It was very exciting seeing several of you guys buying my book, Gazing At Grace, and helping me climb Amazons best sellers list. Thanks for your support. Not only were you guys buying Gazing At Grace, but a couple of my other titles started moving as well. Truly humbled. Today is a new day though. Gazing At Grace is still only $1 in the kindle store, and my goal is to get this book in as many hands as possible. Help me spread the word, and if you haven’t picked it up yet go get it today! I really think you will be blessed by it. 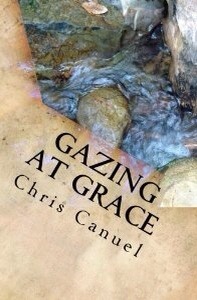 To buy Gazing At Grace, click here!